"The Company", Original Cobblers LTD, the person who is the vendor of the services and or goods to the customer. “The Customer", the person contracting for goods and services to be supplied by the Company. "Goods" means all things to be sold by the Company to the Customer. “Services" means all services, including repairs, provided by the company to the Customer. quotations made by our repair technicians is only an assessment based on the fault description you have provided to us via our Online Contact Form, our email conversations or through our conversation on the telephone. There are cases that the price of the repair of the unit becomes higher than the estimated price. These usually occur when the fault description provided to us was inaccurate, or in the event that we found other faults in your item. When these instances occur, you will be contacted personally to further discuss the details and the price of repair for any faults we find. This Agreement shall commence from the date your item arrives at the company address and shall continue until the warranty has expired. We shall make all reasonable efforts to repair your Equipment subject to the availability of any parts required and/or the terms of any relevant guarantee or warranty. 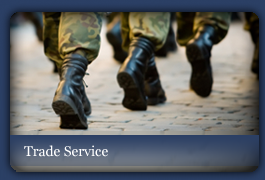 We shall perform the Services using our reasonable care and skill. The Company shall give the estimated time for the repair of items and shall make every effort to inform the Customer if this estimated time cannot be met, although the Company can accept no responsibility for delays outside its control. Please do not send any accessories in with your repairs unless we have specifically requested them. On completion of work the customer will be contacted by email/phone/text and payment will only be processed at this point. Cheques will not be cashed until the item is ready for return. All charges will be subject to VAT and any other government taxes or duties as applicable. All items after they are either fixed declared beyond economical repair or require a re-quote will be held for 120 days maximum. We will make reasonable attempts to contact you by phone and email a minimum of 3 times. If no payment or instruction was received within 120 days, the item will be auctioned to recover the costs of repairs made, donated to charity or disposed of. While we try our outmost to ensure accuracy in all that we do, mistakes occasionally do happen. We will correct any mistakes made in bills, receipts or payments as soon as possible, and no later than 30 days of agreeing to do so. In the very rare occasion an item that you the customer has sent to us, is lost we will be un able to help track or trace and cannot accept liability for the item until it arrives at our address. Unless otherwise stated items will be dispatched as soon as payment has been made via DPD. A signature will be required and two attempts at the delivery address will be made, after this the minimum charge will be due. We cannot be held responsible for any loss or damage to accessories whilst in our possession. (laces, special insoles, bag locks ect). On occasions we may ask for certain accessories to be sent in after our initial diagnosis for further testing as they may be related to the fault. All repairs are subject to a £10 “minimum charge” and is included in all repairs undertaken by us. The minimum charge cover’s admin and our repair specialist’ time and any parts used to attempt to repair on the item. After thorough inspection of the item, the minimum charge will become due: When it would be cheaper for you to purchase a replacement item or the unit is “Beyond Economical Repair”. 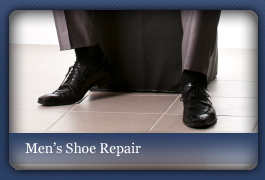 All items repaired by Original Cobblers LTD carry a minimum 4-month guarantee from the date of completion, and not from the date the item/items were received by you. Any guarantee given is not transferable and therefore only applicable to the original transaction. Our repair service carries a 4-month limited warranty on labor or until a third party has carried out work on your item whichever is sooner, we do not offer any warranty on components due to variations of customer use. 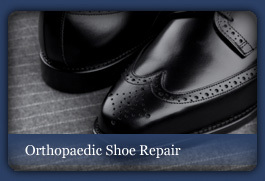 If any work carried out by Original Cobblers is broken/adjusted/ manipulated/ damagedor handled by a 3rd party this will void your guarantee and no refund can be issued. This will void any works carried out by Original Cobblers. In the event repairs on your item becomes faulty within the set warranty period, please send the unit back to us with a copy of the receipt or Ref. No. and a detailed cover letter stating the current fault or error you are experiencing. We are not liable for the costs you incur in sending the item to us. We will conduct a thorough investigation and respond within 5 working days. If the problem is from the initial repair, we will conduct any further repair free of charge and return it you via post FREE. If the item reveals further glitches not related to the original repair or due to parts not replaced in previous repair, we will contact you and discuss the matter regarding additional work. 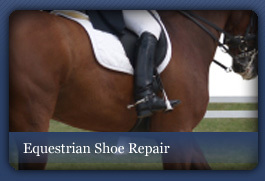 We will attempt to repair your item TWICE after the initial repair. If afterwards, the item is still faulty, we will issue a refund, postage fee not included. We will need to check the item and make sure its faulty prior to issuing a refund. If a replacement item is required, we will keep the original item and receipt for the new item. Further clarifications: postage fee of all items sent to us under the repair warranty will be covered by you, nonetheless the item will be returned to you free of charge if a problem is found. If the item has a problem not related to the original fault or no fault is found, postage charges for returning the item will apply. If, through our negligence or willful misconduct, we damage the item beyond economical repair, our liability will be limited to the cost of providing a replacement with a product that is the same as or similar and of a similar condition to the original item. We shall not be liable to you for any delay in or failure of performance of our obligations under this Agreement arising from any reason beyond our reasonable control. Our failure to exercise or enforce our rights or the giving of any forbearance, delay or indulgence, will not be construed as a waiver of such rights under this Agreement or otherwise. This Agreement sets out the entire agreement and understanding between you and us in connection with its subject matter. Nothing in this Agreement shall affect our liability in respect of any misrepresentation, warranty or condition that is made fraudulently. This Agreement may not be amended, modified, varied or supplemented except in writing signed by or on behalf of you and us. If any part of this Agreement is found to be void or unenforceable it will be severed from the rest of this Agreement so that it is effective to the extent that shall not affect the validity of the balance of the Agreement, which shall remain valid and enforceable according to its terms. Nothing in this Agreement shall confer on any third party any benefits under the provisions of the Contracts (Rights of Third Parties) Act 1999. This Agreement shall be governed by the laws of England and Wales and shall be subject to the exclusive jurisdiction of the English Courts. When we provide a new repair quotation and you refuse this quotation. Note that return postage cost will be charged in addition to the minimum charge. We may waive the minimum charge and return postage at our discretion. When delivery had been attempted twice and the item returned to us for re-delivery. Should you require the European Online Dispute Resolution Platform contact details. We ask for your name and address and the other details ("Personal Information") so that we can notify you when your item has been repaired and so we can give you an efficient after-sales service. We may also send you text messages from time to time to alert you to new services that we may provide. We do not store your details on any open source, distribute to third parties or keep financial information.